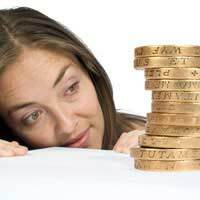 Chances are good that even if you keep your amateur dramatics society budget as lean as possible, you'll still need to find money to cover basic expenses. Let's face it - there are plenty of "hidden" costs associated with putting on a performance, such as royalties, location rental, costumes, tickets, advertising and the like. Consequently, you'll probably want to engage in fundraising at least once a year to "up" your amateur dramatics society's bank account (or at least stay afloat.) To help you achieve your financial goals and meet your fiscal responsibilities, why not try one or more of the following fun fundraising strategies? If you're planning on putting together any kind of booklet for your audience members, why not ask around and see if one or more local companies might wish to underwrite the cost to print and/or design the programmes. Should you get a "nibble" or two, mention those sponsors on the back (or, better yet, the front) page of the simple booklet either by listing and thanking them or agreeing to reproduce their logo on the programme. Do you have some excellent musicians on the roster of your amateur dramatics society? Do they put popular singers to shame with their innate talents? Then why not offer singing telegrams for Valentine's Day or Mother's Day? The cost to you will be minimal and you can bank the rest. Just make sure that a) your singers are decent (you don't want a reputation for selling something that isn't the best) and b) you don't price yourselves too high. Well, almost free presentations… Basically, you could set up a series of shorter performances that are meant to entice theatre-goers. At the end of your mini play, opera or recital, you should then "pass the hat". That way, you'll be encouraging listeners (who hopefully enjoyed what they saw and heard) to dig deep and help your amateur dramatics society! Want to attract some bigger spenders? Then you absolutely have to think "big" and plan a larger-scale event like a dinner murder mystery experience at a local bed and breakfast or hotel. Such unusual fundraisers will attract attention because of their uniqueness. Again, make sure that you work closely with the event locale, as hosting places will often help with the advertising and publicity (which is in their best interest!) They might even allow you to pay a minimal amount upfront and give them the rest after the event is finished. If your amateur dramatics society members are talented in marketable areas - scrapbooking, quilting, painting, baking, et cetera - you can hold periodic sales where the public can purchase a variety of creative goods. Usually, sales such as these do best when offered close to major gift-giving holidays such as Christmas. Is someone in your amateur dramatics society an excellent theatre, movement or vocal teacher? Why not offer his or her services to the public in the form of classes? Both kids and adults can be excellent students, and as long as you have a comfortable, clean, safe room in which to conduct classes, you're set! Just be certain that the curriculum has a point to it (and isn't simply a series of get-togethers with no end results), and you'll likely get some "takers" from your community. And who knows? You might just acquire some new volunteers who want to be part of your society! We have a local group that puts on two shows every year. It has been going for over 25 years. Each year it about breaks even but has built up a cash reserve of £4,000 over the years. Is there any HMRC reporting practice that we should be following. I can't imagine that there is any tax liability.Any views would be welcome. You can see more via the gov.uk link here . If you are 'trading' i.e selling tickets and accruing money through advertising etc, you’ll need to pay Corporation Tax and file a Company Tax Return in the same way as a limited company. I advise speaking to HMRC directly regarding this matter. We have a local group that puts on two shows every year. It has been going for over 25 years. Each year it about breaks even but has built up a cash reserve of £4,000 over the years. Is there any HMRC reporting practice that we should be following. I can't imagine that there is any tax liability. Any views would be welcome.